A house that will promptly be on the market in Oshawa is remarkably different from most of its competitors. This house, located at 96 Quebec Street, is a mere 253 sq. ft.
Ryan Carr, owner of R.W. Carr Investments Co., has been flipping houses and completing renovations for five years now. However, this project was like one he’s never taken on before. “I’ve never been in a house this small or seen a house this small. So it would be the first one for us, and I believe the first one in this town,” he says. The structure, which dates back the 1940s, has been lived in for years, but Carr says it was missing out on its great potential. Carr also purchased the neighboring home at 98 Quebec Street as well. He estimates it will be a few more weeks until the house is exactly as he desires it. With this being his first venture into tiny houses, there was quite a bit of ‘guesswork’ involved. The plan is to have the house on the market by Labour Day, with Carr speculating on a $199,000 listing price. There has been plenty of interest so far. Carr is hoping to catch the ear of city council and staff to see more projects like his in the city. 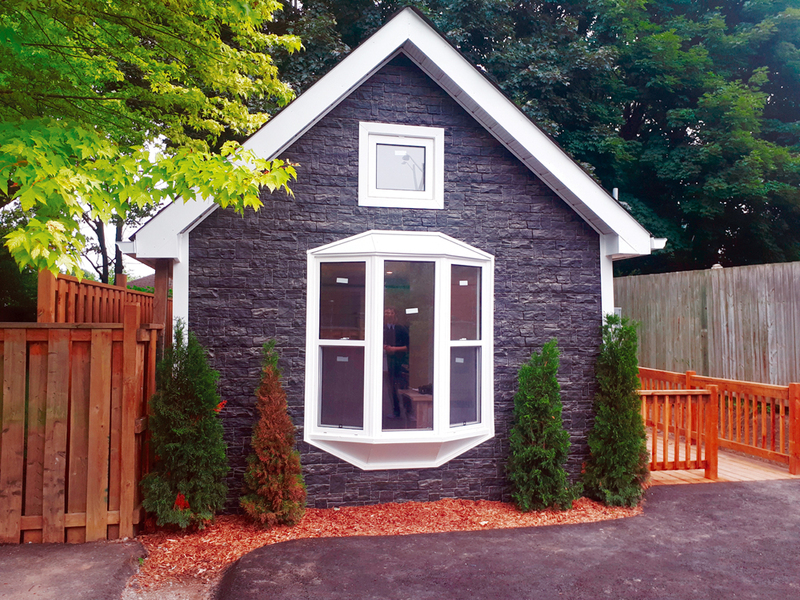 “In some places, namely Peterborough and Markham, you can build a ‘coach house’, which is basically what you see here, in the back of an existing property and put a family in that. It would be like a basement apartment, a second unit on the property,” he says. “Right now, policy here says you can do secondary units like a basement apartment, or an addition, but you can’t have a detached structure. Mayor John Henry who visited the house on Aug. 1, along with councillors Gail Bates and Doug Sanders, seemed interested in having discussions on the issue. He says he is impressed with what is being accomplished at 96 Quebec Street. So-called ‘tiny houses’ in Canada came into prominence in 2008, when Ellen DeGeneres’ talk show featured a 312 sq. ft home in Toronto, near Dufferin Street and Rogers Road.